One thing we do with BStrong4Life is to use vibration exercise to improve balance. While our primary focus is on building muscular and bone strength, improving balance is intertwined in the BStrong4Life program. There is no current published research on the BStrong4Life program specifically so once a week I search for any research that relates to what we do with BStrong4Life. This recent paper was published in the journal Therapeutics and Clinical Risk Management. These authors studied the effects on whole body vibration exercise on muscular strength, balance, and walking in the elderly. 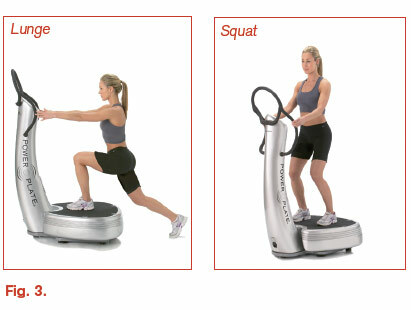 They found that an exercise program of 4 minutes of standing on a vibrating platform combined with 4 minutes of performing squats on a vibrating platform improves balance, strength, and walking velocity. This is a simple paper, but relevant to BStrong4Life because training on a vibrating platform is a key part of our program. Like the study participants we have our patients both stand and squat on our power plates as well as perform additional lower extremity strengthening exercises on the power plate, reACT, and bioDensity. I firmly believe if we were to evaluate our patients as these authors evaluate the study participants we wouldn’t just see similar findings, but findings that blow this study out of the water. Just today I was talking with a patient who noticed that within just five weeks she noticed increased strength in her thigh muscles. As interest grows, and interest is growing, in BStrong4Life we will have the ability to study the effects of BStrong4Life. In the mean time rest in the assurance that what we do is evidence based because there is evidence which shows that each piece of equipment is effective to improve strength and balance.